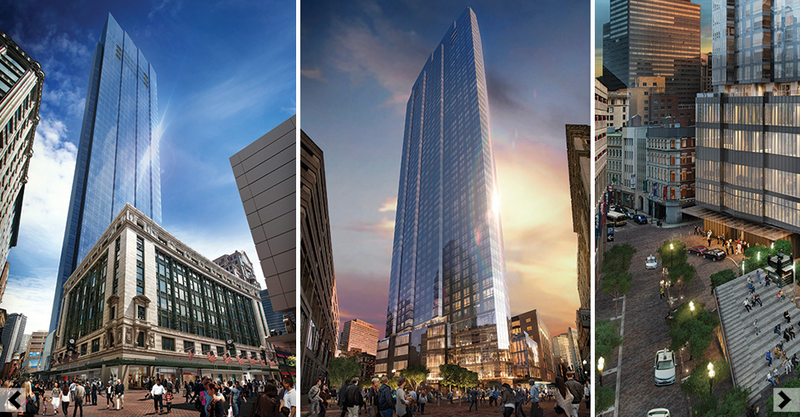 Millennium Tower Boston, in its pre-construction phase, promises to be one of the most exciting, ultra luxury condo developments Boston, MA has ever seen. Soaring over 600 feet with 55+ floors, The Tower, as it will become known as, will house over 420 uber luxury condominiums with state of the art build-outs, floor to ceiling windows, and commanding views of the Back Bay Skyline, Boston Garden, Charles River, Boston Harbor and Atlantic Ocean. The building will feature 24/7 concierge, security, garage parking, 24,000+ square foot owners lounge/bar, exclusive gym, and indoor swimming pool. On the retail levels, with over 250,000 square feet of space, there will be Midtown's first supermarket, luxury boutique storefronts, a high end retailer and fine dining restaurants.